It’s been decided that the upcoming fourth season of HBO’s Eastbound & Down will be the show’s last season. Production on the final episodes is getting underway with an eye towards their debuting on Sunday, September 29th. There will be just eight installments. NEW YORK, June 6, 2013 – EASTBOUND & DOWN, the raucous HBO comedy series from creators Danny McBride and Jody Hill, begins shooting its eight-episode fourth and final season tomorrow in North Carolina, with the season scheduled to launch SUNDAY, SEPT. 29 (10:00-10:30 p.m. ET/PT). McBride stars in the show as the irrepressible Kenny Powers, the former major league pitcher who is larger than life… and death. In the third season of EASTBOUND & DOWN, which concluded in April 2012, Kenny Powers finally made it back to the majors and recaptured his former glory, only to fake his own death and run back home to his beloved April, the mother of his child. The upcoming fourth season picks up the action several years later and finds Kenny living the American Dream with his family in North Carolina. The third season of EASTBOUND & DOWN inspired raves, with People calling it “Terrific. The jokes take off on all sorts of unexpected trajectories – foul balls that score…Four out of four stars,” while Entertainment Weekly said, “You should make time to get down with ‘Down’,” rewarding the show an A-. 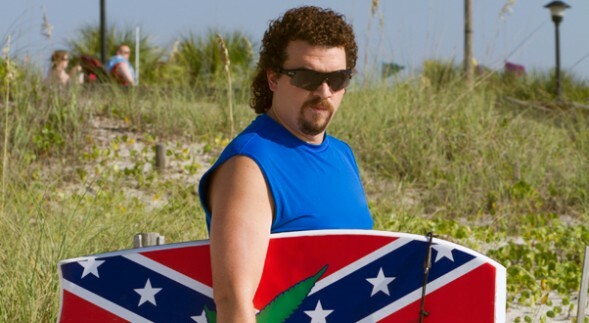 EASTBOUND & DOWN is executive produced by Jody Hill, Danny McBride, Will Ferrell, Chris Henchy and Adam McKay. What do you think? Is the timing right or are you sorry there won’t be a fifth season? Very sorry to see there will not be a season five! I love this show…. This was a great show, it was the best season last year. Sorry to see that they will cancel a good show.